Yesterday, I worked on the kitchen. 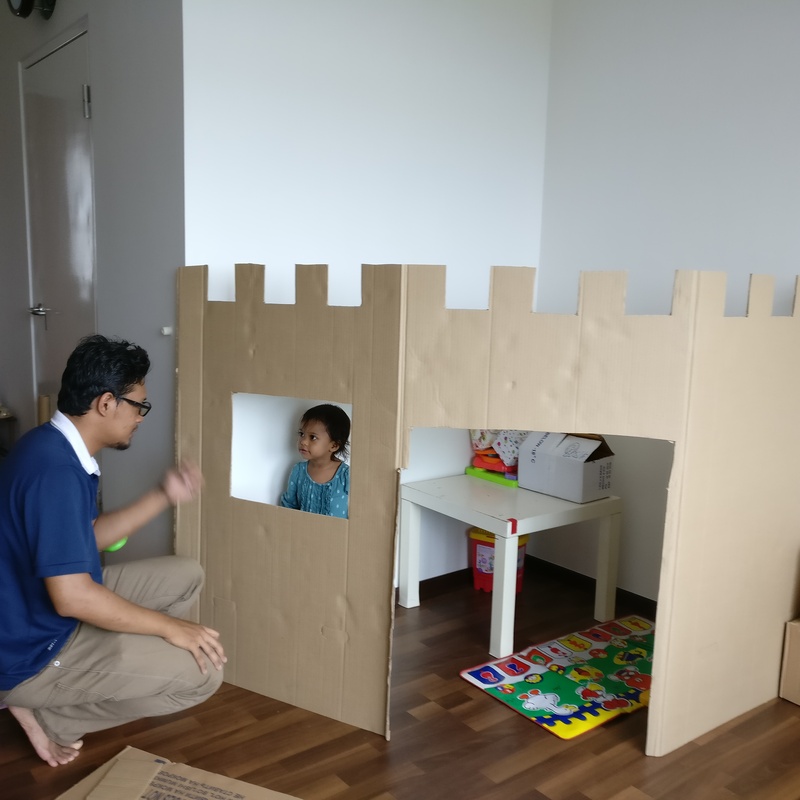 With that completed, I went on to the next project – a castle. My sis moved into her a new place and so there were plenty of cardboard boxes. 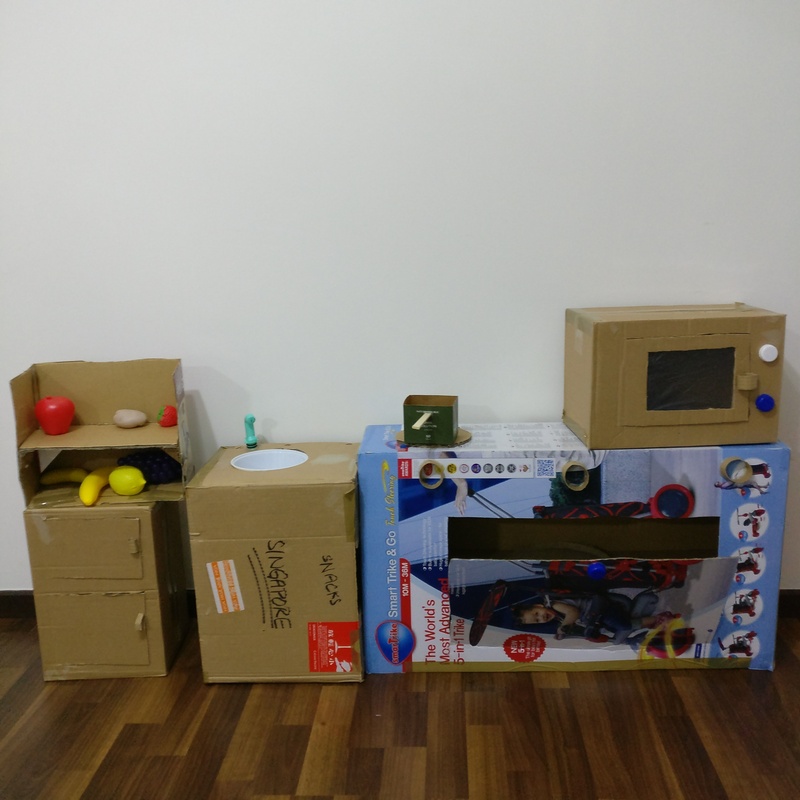 Kitchen set of fridge, shelf, sink, stove and microwave. Can’t wait to paint them!